The attached document provides the terms and conditions that must be adhered to in renting of one of our properties. For your convenience, the terms are displayed below as well as attached as .PDF that you can view or print. Please note that terms our subject to change and a copy of the .PDF document will be attached as part of the booking agreement. 1.1. Only the persons named on the booking form are allowed to stay in the unit. Florida State Law prohibits sub-letting, sharing, or assigning. 1.2. An adult must accompany persons under the age of 18. 2.1. A deposit of $200 per week is required with the completed booking form. 2.2. Confirmation of booking will normally be made within 7 days of receipt of deposit. Once the booking is confirmed, the deposit will be non-refundable but will be deducted from the full rental amount due. 2.3. The balance is due 6 weeks prior to arrival. 2.4. Bookings made within 6 weeks of arrival are payable in full at time of booking. 2.5. Full details for access to the unit will be sent to you after payment has been received. 2.6. The owners reserve the right to cancel the booking if payment is not received by the due date. WE STRONGLY RECOMMEND YOU TAKE OUT VACATION INSURANCE TO COVER UNFORESEEN CIRCUMSTANCES WHICH MAY NECESSITATE CANCELLATION OF YOUR VACATION. 3.1. More than 3 weeks of arrival, the deposit is forfeited. 3.2. Less than 3 weeks of arrival, 100% of total cost is forfeited. 4.1. Check-in is 4:00 pm and check-out is 10:00 am. Failure to vacate the unit by this time may result in additional charges. 4.2. The unit will be cleaned prior to your arrival and again on your departure. 4.3. All rentals are inclusive of electricity, water, and total sales taxes. 4.4. A telephone is available for your use free of charge for US calls only. 5.1. The owners or the owners’ agent are not responsible for or liable in respect to loss, damage, or changes caused by events beyond our control (i.e. strikes, floods, closure of airports, weather conditions, or other events beyond our control). 5.2. If there is a problem during your stay, please contact the management company. If you still feel your problem is unresolved, contact the owners directly. 6.1. The owners or owners agent are not liable whatsoever for death, personal injury accident, loss or damage to persons or personal effects, however caused. 6.2. You are liable for all damage caused to the unit. The owners reserve the right to pursue you for further monies to cover malicious or avoidable damage. 6.3. 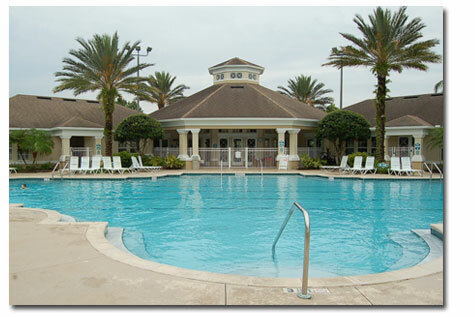 Your unit is situated in a development which consists of both residential and vacation homes. The owners or owners’ agent cannot be held responsible for any noise on or around the housing development. Please be mindful of your noise so as to allow the peaceful enjoyment of others properties. 6.4. The unit must be kept secure at all times. All windows and doors must be locked if you are not in the unit. You will be liable for any losses if this is not done. 7.1	Children must be supervised at all times on the balcony. 8.1. No inventory should be removed from the unit. This includes linens and towels. 8.2. Guests should check the unit and report any damage to the management company within 24 hours of their arrival. 8.3. Any breakage or damage must be reported to the management company immediately. 9.1. No smoking allowed within the unit. Smoking is permitted in the pool area. 10.1. Wireless internet is provided free of charge and so are all US phone calls. We will do everything we can to provide this service, if for any reason it is not working, there are no refunds as this is a free service to you. 11.1 Booking of the unit infers agreement with these terms and conditions even if the booking form has not been completed.